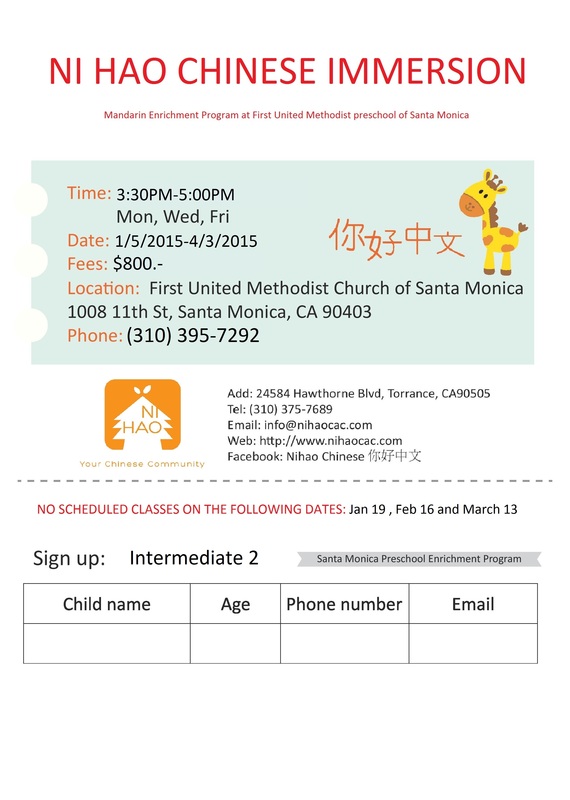 First UMC Preschool now offers a Mandarin immersion enrichment program. Teachers are fluent Mandarin native speakers. Students are immersed in this language throughout the class time. Students learn during their preschool activities such as story time, music, art, creative dance, etc. Class meets 3 times a week for an hour and a half each day. CLICK HERE to download the registration form. Class is limited in size and only open to current First UMC Preschool students.